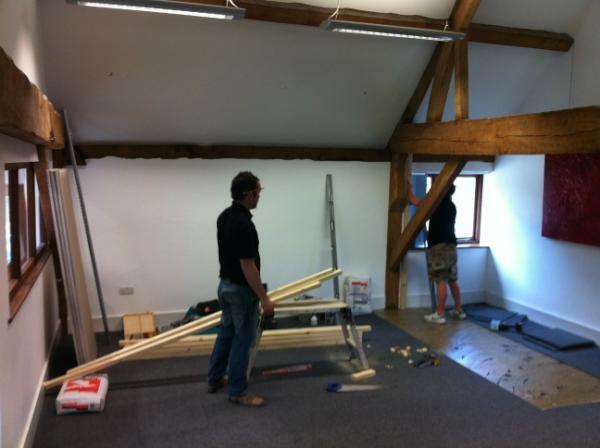 Hague Dental supply not only supply world leading dental equipment but this is supported by our own dental surgery build team. 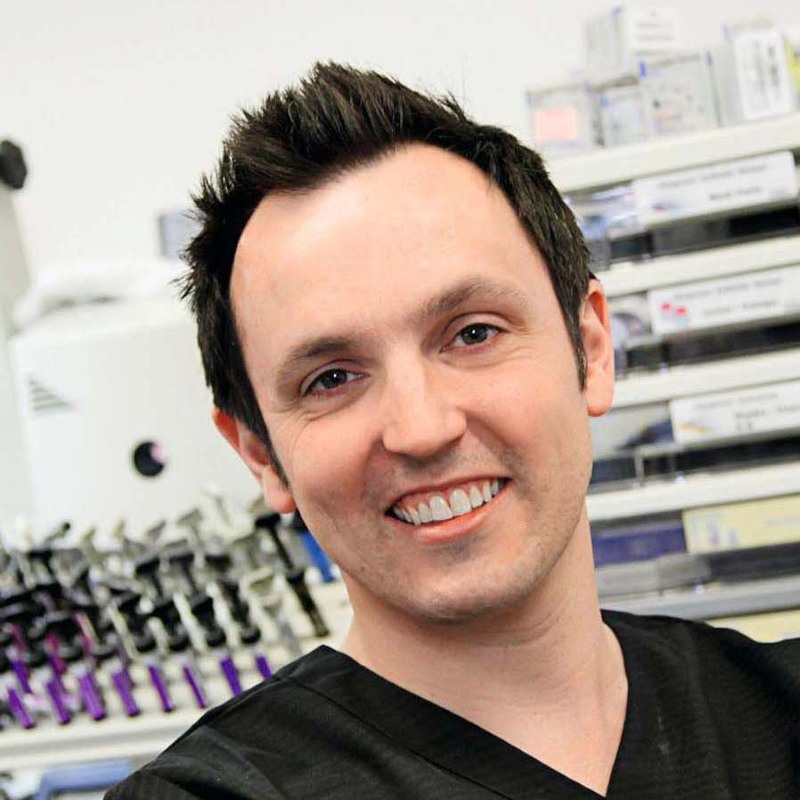 Below is a case study of a Build Project in a Dental Laboratory for the Bryne Family on Oxford. 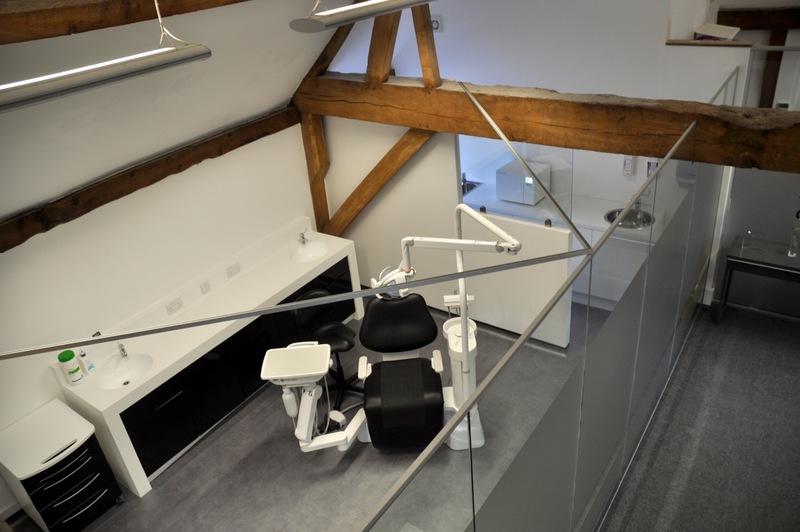 They added a stunning new surgery to their stunning dental lab in a converted barn. 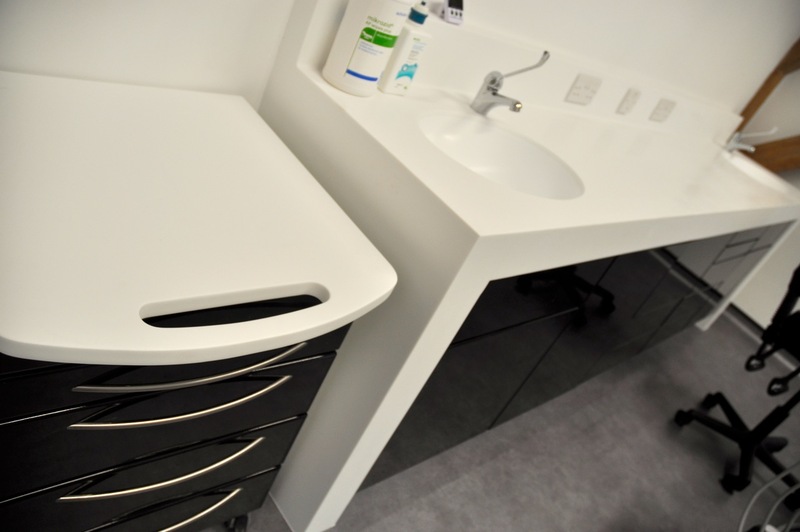 Driving in to the village of Witney you are immediately struck by the amount of character that all the buidlings seem to have and Byrnes Dental Laboratoy is no different, this surgery demanded to match the creative design already in place. Using the high ceilings and huge wooden beams was always a must and the clients detailed input on how they wanted the surgery to look and feel was very important. Using the high ceilings and huge wooden beams was always a must and the clients detailed input on how they wanted the surgery to look and feel was very important. 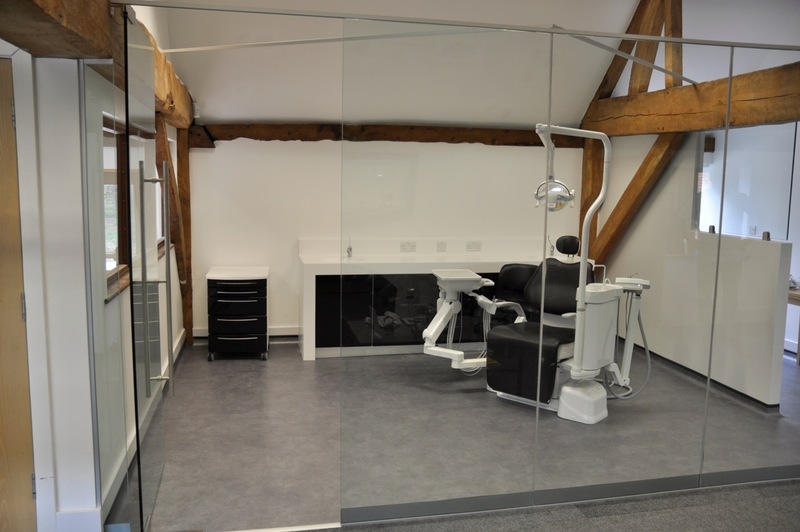 Using a guided and strengthened glass wall system the surgery space was created, the colour scheme of the chair and the cabinetry was complemented by the modern silver flooring that help tie the modern looking equipment to the historic beams. 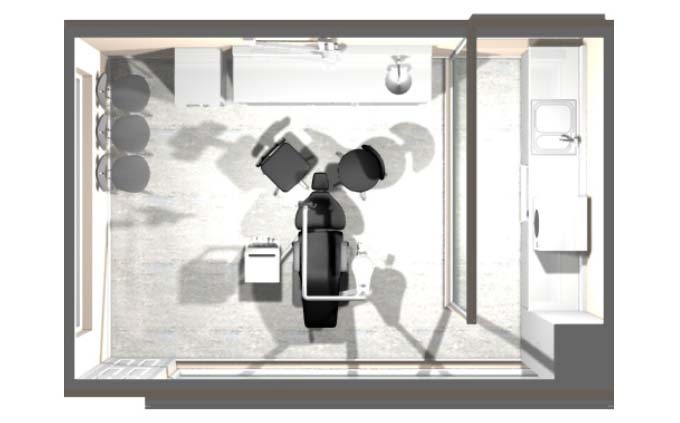 The system chosen was the ever reliable and flexible Belmont Cleo II, with most of the patients here having their treatment done while in theupright position, the knee break chair fitted perfectly and allows pleanty of psace around the chair when training/courses are run by the client. The room was finished off with our new concept cabinetry, “FAT” in both name and design. This practical yet stunning cabinetry compliments the chair beautifully. This was complimented with a matching mobile cart. Hague continue to support the Byrne family with all his equipment servicing and repair requirements.